It really is bye bye to boring breakfasts. 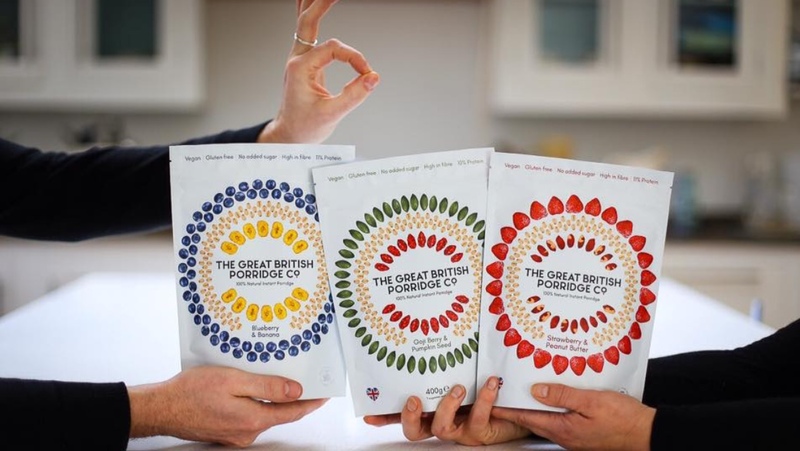 The Success in only 5 months of The Great British Porridge Co has been incredible. It's great to see porridge becoming so popular again and with the exciting flavours we offer, we are converting the porridge dislikers into TGBPCo lovers. We are now stocked in lots and lots of wonderful independent farmshop, Deli's & Grocers. Plus we are also on the shelves in Selfridges in London & Harvey Nichols stores through out the country. Loving a it of travel, we can also be found on shelves in Denmark and Kuwait. We've been so busy, where has the time gone. In April we did our first ever trade show, The Farmshop and Deli show in Birmingham. The crowds were 3 deep at our stand loving the pots of hot porridge we were handing out. We've also been doing lots of instore samplings which has been so fun and its so good to get out and meet our suppliers and customers. We absolutely adore hearing how much our porridge has transformed peoples lives. Not only can you now find time for breakfast, its also incredibly healthy and nutritious too. More and more people are choosing to eat healthier foods. We are saying we want products that are vegan, gluten free and no added sugar. We are so proud to be able to say our porridge is 100% natural. Never did an instant porridge taste this good, we love hearing this said. We meet lots of people looking to follow plant based diets so our porridge slots in perfectly and being ready in less time than it takes to make a cup of tea is just the icing on the cake. High in fibre, less than 230 calories and over 10% protein we really do tick all the boxes. There's not many instant porridges out there that are vegan like ours. Perfect for meat free Mondays. Thanks so much for all your support, we are so chuffed at the response!